Although we can’t all be professional bakers or pastry chefs, it does not mean that we have to be entirely reliant on commercially (therefore pricey) made bread and similar baked products. Several decades ago, making a whole loaf of bread, let alone a slice or two, usually required a lot of work and quite a significant amount of time. These days, however, with the help of a bread maker, you can whip up fresh bread in the comfort of your own home, in no time at all, and with the least amount of effort. 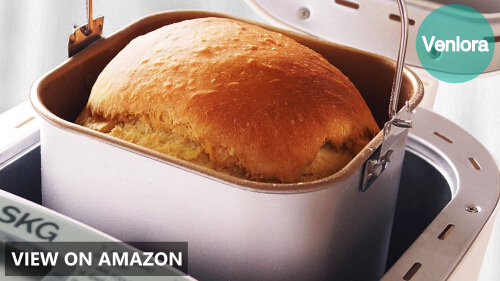 How Did The Bread Maker for Homes Evolve? Why Should You Consider Owning a Bread Maker for Homes? How Does a Bread Maker for Homes Work? Quite a lengthy and laborious process, isn’t it? Is a Bread Maker for Homes Difficult to Operate and Maintain? To put it simply, a bread maker is a home appliance – and electric oven, if you will – for baking bread. In direct contrast to industrial machines by major bread producers, they are designed for use solely in households. Although the first patent for an automatic bread machine was recorded in 1902 by a certain Joseph Lee, Panasonic holds the distinction of being the first to release an automatic bread maker specially designed for homes in 1986. Panasonic stayed faithful to Lee’s original design, although they made it smaller and more compact. 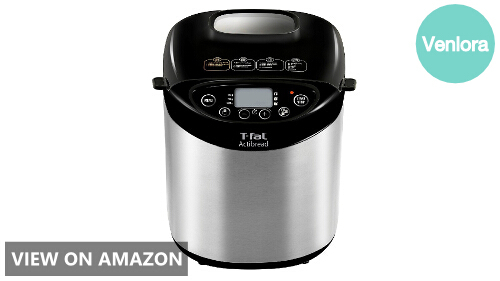 Since then, the design and concept of the bread maker has evolved, and the world became acquainted with the wonders of this home appliance for bread lovers everywhere. The original bread makers were designed to mix ingredients and knead the dough. The bakers would then form the dough and bake it to the finished bread product. The bread making process using these machines usually took hours, and the resulting loaves were usually in irregular sizes and shapes. Over the years, more bread makers came out, with features and capabilities more advanced than the last. For example, bread makers these days are no longer limited to making a loaf of bread since they are now capable of making dinner rolls, pizza dough, cakes, and a variety of baked goods. The time factor has also been taken into consideration, as the baking time of bread makers became significantly shorter, making for a more efficient baking process. Clearly, the design and mechanism may have changed over the years, but the philosophy remained the same: to allow home chefs and even ordinary people to make their own bread in their homes. When the first breadmaker was put to use, the most notable advantage was cost efficiency: the cost of manpower was considerably decreased since fewer people were needed to mix the ingredients and knead the dough for making bread. With the introduction of the bread maker for home use, that is really no longer the prime benefit. Obviously, the main reason for buying a bread maker for home is so that you would be able to make your own bread instead of buying mass-produced loaves. If you ask bread-maker users, having one definitely offers more benefits than the cost of buying and maintaining it, not to mention the cost of bread bought at a local bakery or supermarket. It cuts down the bread-making time. Imagine the time spent on preparing a loaf of bread from scratch. From the prepping of the ingredients to the kneading of the dough, you’ll have probably spent at least 10 minutes already. With the help of a bread maker, you could have freshly baked bread on the bread pan at the end of 10 minutes! It works while you’re out, or away from the kitchen doing other things. All you have to do is to add all your ingredients, pick the right settings, turn it on, and then go about your other business. Since a bread maker operates on a timer, you’d have fewer worries about ending up with ruined bread. You may even step out of the house to run some errands if you wish, and the machine will do its work. It’s less messy and low maintenance. At the end of a bread-making session, what you’re probably left with is a bread pan and a blade or paddle to clean. Compare that with the old-fashioned way of preparing bread, where you’d most likely end up with an entire kitchen counter, kitchen sink, and oven to clean, there is no doubt who the winner is. You’re the boss. You call all the shots, from the ingredients you put in, to the results that you want to see. More importantly, health-conscious individuals or those with specific dietary requirements and restrictions have full control over the quality of ingredients they use in making the bread. The traditional way of making bread has five stages: mixing the ingredients to make the dough, kneading the dough to make it expandable, leaving the dough out to allow it to rise, “knocking down” or kneading the dough a second time and putting it in a tin container to let it rise for the second time (a process called “proving”), and finally baking it in the oven. A bread maker will basically do the entire process for you. First, you measure the ingredients and add them into the bread tin or pan, then pop it into the oven. Close the lid, select the program settings, and turn it on. And then you wait. Alternatively, you can observe the machine do its work of mixing, kneading, rising, and then more kneading, proving, until it goes into baking mode, until it’s done. Of course, some bread makers may have more advanced options and mechanisms, allowing you to be more flexible and adventurous in making your homemade bread, but that’s how bread makers basically work. We all love a home appliance that is easy to use and, more importantly, easier to clean and care for. 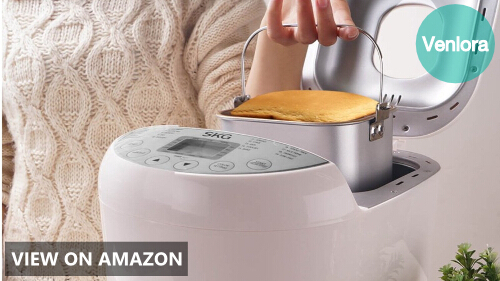 Fortunately, that’s what most bread makers are famous for easy clean-up. To begin with, operating a bread maker couldn’t be any easier than selecting a program, then turning it on and letting it do the work. But afterward, the fact that all you need to do is clean the bread pan, and wipe down the body of the oven. Once in a while, you’d have to clean the nooks and crannies, but that’s about it. With so many options available in the market today, it’s hard even to know where to begin looking for the best bread maker. Here are the top 5 bread makers for homes, and the reasons why they get high points. With 19 automatic digital programs to choose from, this COSVII bread machine can make a wide variety of bread. It also gives you more bang for your buck since baking is not the only thing it can do. 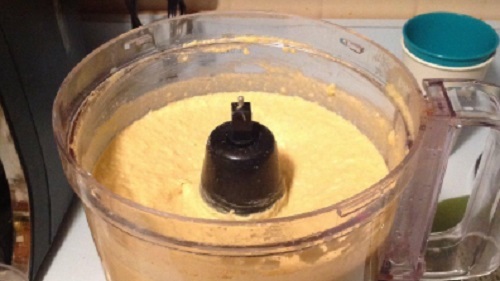 Other cooking functions enable you to make cakes, pizza dough, gruel, and sticky rice. You can also make jam and rice wine with it. 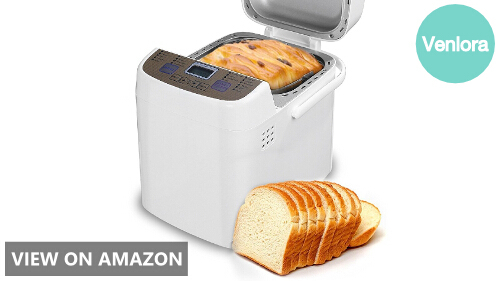 The COSVII Programmable Bread Machine has a 15-hour delay time, so you can set the timer in the morning and come home later that evening to a fresh and warm loaf of bread. Since it keeps your bread warm for 1 hour after baking is done, you can be sure you’d still be able to enjoy warm bread even if you came home later than usual. Your loaves will be anything but boring because you can prepare loaves of 2 sizes (either a 1lb loaf or a 1.5lb one) and even select the crust setting to Light, Medium, or Dark. 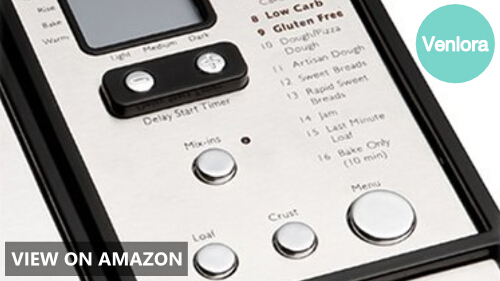 Throughout the whole bread-making process, you can keep track of the progress thanks to the LCD display. Oh, and finally, it is easy it is to clean thanks to the non-stick removable pan. 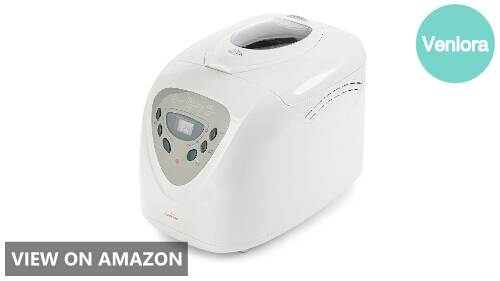 The Sunbeam Programmable Bread Maker is so user-friendly it is perfect for first-time bread bakers using bread makers. Operating it is very easy to learn and understand, so do not let the fact that it has 12 cycles intimidate you. In fact, be thankful for the versatility that these 12 cycles offer you, allowing you to prepare a variety of bread. 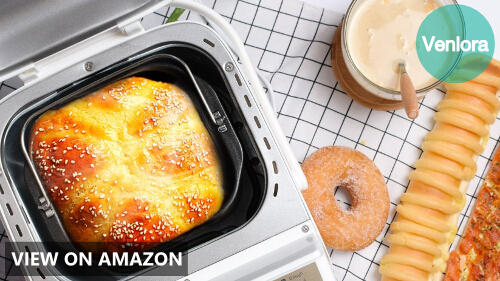 You can program the Sunbeam to delay the bake time up to 13 hours, which makes it perfect for people who are always on the go but would still want to enjoy freshly baked bread at the end of a long day or first thing in the morning. 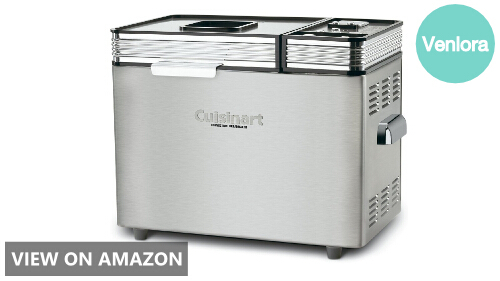 Cuisinart proves its reputation in kitchen appliances with the CBK-200 2-lb Convection Bread Maker. At first glance, no one can deny that it is so good-looking, you would want to make it a centerpiece in your kitchen counter. The simplicity of its operation is what makes it a real winner, though. This programmable machine allows easy adjustment of speed and timing, and also has 16 preset menu options to choose from. People on low-carb and gluten-free diets are sure to appreciate these settings. You also get to choose from three loaf sizes, so there are more options. Aside from the 12-hour delay timer, it also boasts an audible tone, which serves as an indicator for when you should add the mix-ins. 19 automatic programs, three loaf sizes, and three crust colors, a 15-hour delay timer and 1-hour automatic “Keep Warm” feature. These are already enough reasons to convince anyone to get the SKG Automatic Bread Machine. But this programmable unit has a lot more to offer. The design and build of this machine is undeniably high quality, ensuring that the bread stays evenly dense throughout the whole process. The piano varnish in silver housing, with its brushed stainless steel accents, also make it elegant, so it won’t look out of place in your kitchen. If you’re looking for a gluten-free bread maker, then the T-fal PF311E Bread Machine is the one for you. 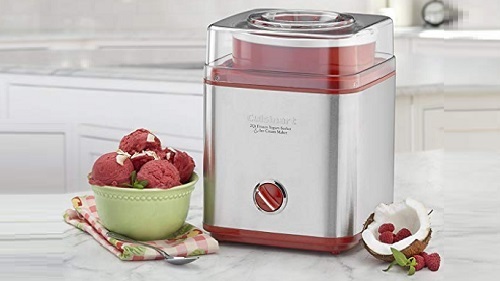 Out of its 15 programmable settings, three are dedicated to making gluten-free bread: gluten-free, gluten-free sweet, and gluten-free cake. Fortunately, having all those programmable settings means it can also make a variety of bread, as well as jam and pasta. 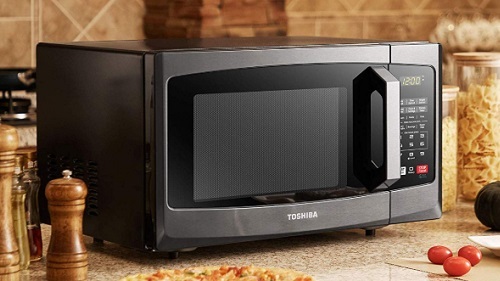 The intuitive control panel and digital LCD display with indicator light make this appliance a breeze to work with. 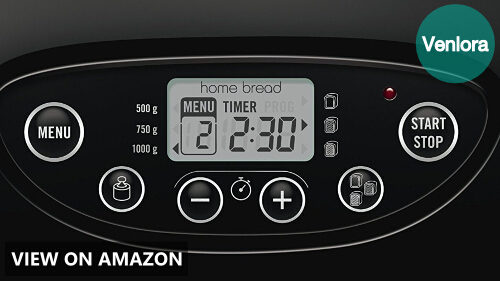 You can set the timer to delay the start of baking for up to 15 hours, and the automatic “keep warm” function will ensure you can schedule the baking so that you will still enjoy warm and freshly baked bread without having to wait for it to bake. The housing boasts a brushed stainless steel finish and an ergonomic top loading lid with a display window, making it a classic addition to any kitchen. The non-stick coating on the inner pan and the handle also guarantee fuss-free cleaning. By default, every bread maker consists of a bread pan, the main body with an oven, and a paddle that is often removable. However, with the entrance of new manufacturers and brands, we are now spoiled for choices to the extent that, for people who are new to bread makers, picking the best one is already a challenge. Here are the factors you should consider when buying a bread maker for home. More specifically, you have to first take note of your cooking habits and consumption, because they are indicative of your preferences. If you go through loaves of bread in your household quickly, you’ll probably be needing a more heavy-duty unit, one that can work on larger servings and can work continuously. Perhaps you’d better answer the question: “what am I going to use my bread maker for?” If it’s purely for baking bread, then you can just look at the basic features. But if you plan on making jam, pizza dough, and even pasta, then you’d have to widen your hunt a bit. Similarly, if you do not have much time to stand around and watch over the bread machine at work, you’d best look for a unit that can be left to work on its own for long periods, preferably one with a timer. Ask any regular use of bread makers, and they’d probably tell you that the timer is the most important thing to look for. A delay timer on a bread maker gives you more control on when you want the machine to start working, especially if you are on a tight schedule and won’t be around all the time to start and stop the baking process manually. 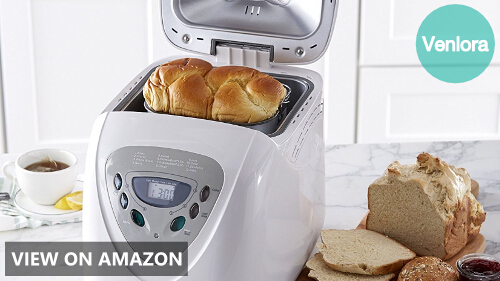 The more programmable options offered by the bread maker, the more you can make with it. If you have plans of making more than just bread, it will make sense to find a unit with programs pertaining specifically to the finished products you plan on making. It should be powerful enough to knead the dough. If you are going to be a frequent and heavy user, pick one with a more powerful motor. A removable pan is a given. It offers more flexibility when making bread, and also allows for easier clean-up afterward. The sizes of the pan are also important. Some units have two pans while others have 3. Usually, there are 1lb and 1.5lb pans, while others have a 2-lb pan included. If your bread consumption is high, then you’d best go for the ones with bigger pans. The shape of the pan is also indicative of the mixing ability of the bread maker. Vertical or upright pans are known to knead dough better than horizontal ones. However, more recent units with horizontal pans are equipped with more mixing blades to address that problem. Usually, bread makers come with at least one paddle. However, it is preferable to find one with a spare paddle or, better yet, a unit with dual kneading paddles, to ensure that the dough is kneaded well. From time to time, you’d want to be able to monitor the process easily. Large LCD displays with visible readouts are a must, and if there are audible tones or alarms, it’s a definite plus. Protect yourself from the stress of worrying over defective parts on your bread maker. Make sure to buy one with a generous warranty. You don’t have to break the bank to get a fully functional bread maker for your home that will serve your needs. Let’s be real here: not all bread makers are created equal, and not all home chefs and bakers have the same financial capability. You have to consider what your budget for a bread maker is, and find the unit with the features that you need, within the price bracket you are aiming for.